I wanted to make something that would be a way to show a single rose bud or small flower display. Something that would look great anywhere but for sure on a desk. It is a way to add some color and life to a display table or even a bookshelf. 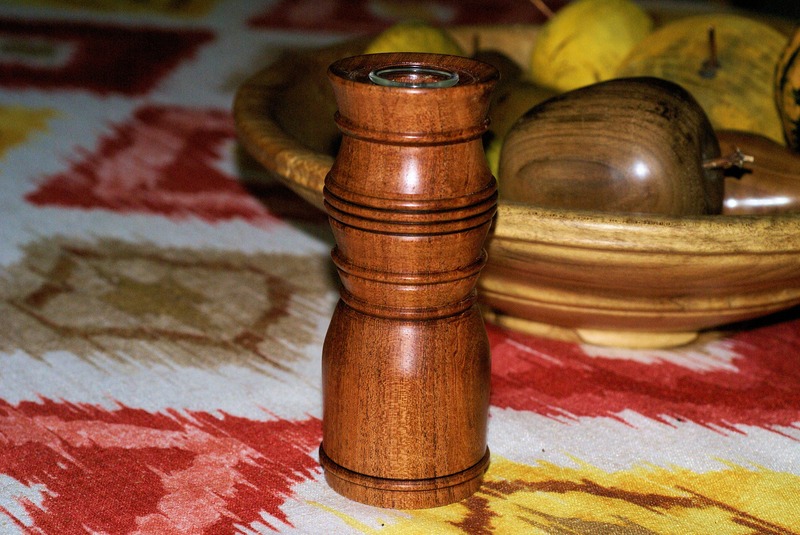 I made this on my lathe with hand tools and a special piece of mahogany. To make this versatile I added a glass liner that can be removed and cleaned. You will find this a great addition to you home or office decor and a beautiful way to add a little life and hope with a fresh flower. It is finished with Shellac mixed with Walnut Oil and Carnuba Wax. 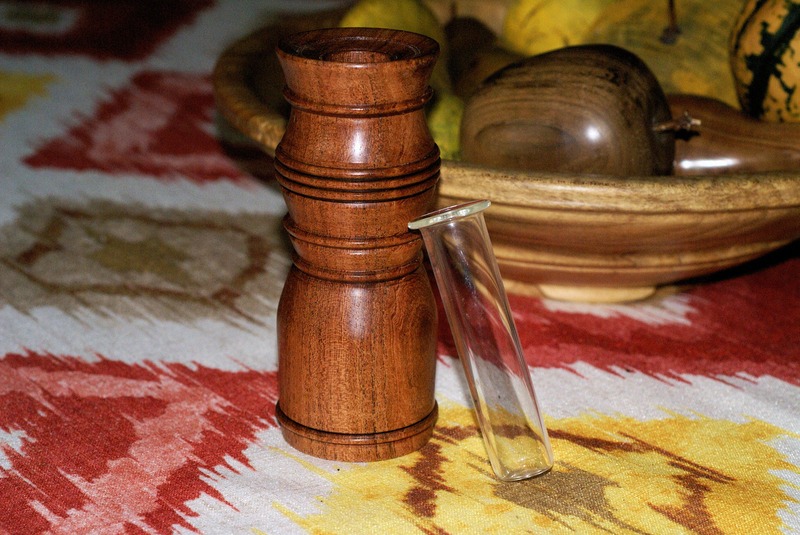 It is 6" tall and 2 1/2" in diameter and weighs in at 8.8 oz.